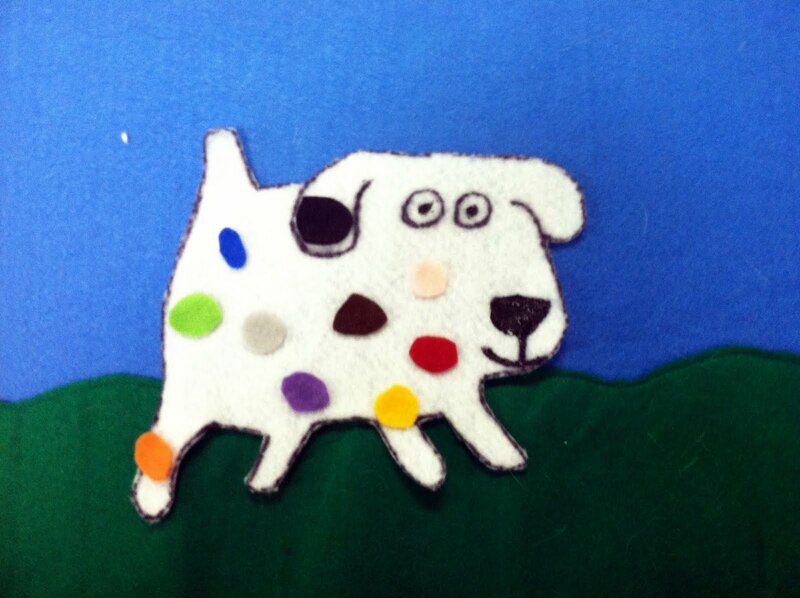 I think a lot of us out in The Flannel Friday Club already have a Dog's Colorful Day felt story, but here's mine! In the end, he gets a bath and is left with his original black spot. This is a super quick felt story to make! I free hand cut a whole bunch of colored spots. 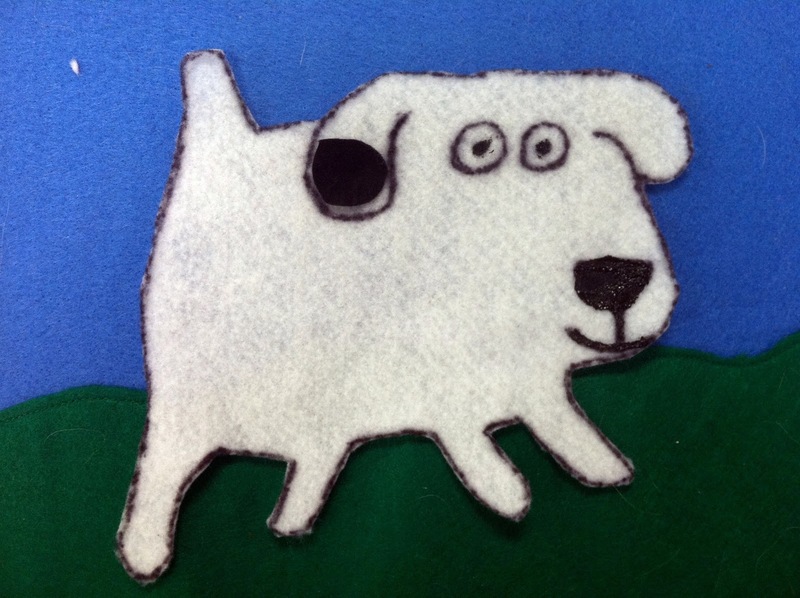 To make Dog, I photocopied one of the illustrations from the book and traced it onto some white felt. You could also use these patterns from Storytime Magic by Kathy MacMillan and Christine Kirker. Emma Dodd's books are all great storytime reads, so be sure to check them out! This is a super quick one to make, and such a great one too!